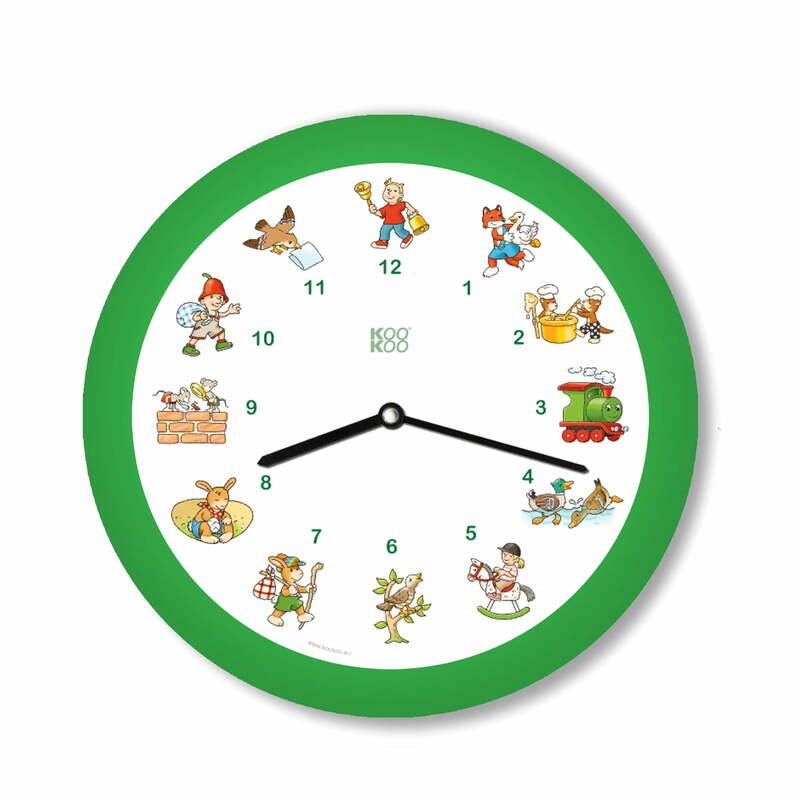 A famous German nursery song will ring out once every hour, instrumentally recorded with flute and zither. Some of them are "All my little ducklings", "Mary had a little lamb" or "Frère Jacques" (a total of 12 songs). The instruments were plaid by Dagmar Wartena-König (treble and tenor recorder) and Elvira Schlegelmilch (zither). The Drawings on the dial were made by the children's book illustrator Klaus Bliesener. The SilentMove quartz clockwork lets the seconds pass quietly, so that the clock remains in the background as long as the time for a new melody hasn't come. And since every song has an end, the light sensor switches the songs off when it gets dark. For the clock to become an interactive experience for the whole family, it is important to sing and play with the melodies. Texts and sheets as well as the children's songs to hear them and some drawing pages are on the KooKoo homepage.